Joan Atherton Hooper has detailed her experiences growing up in Colac in her memoir, Nothing To Cry About. Joan Atherton Hooper is about to open the case files for her father’s murder in 1939. 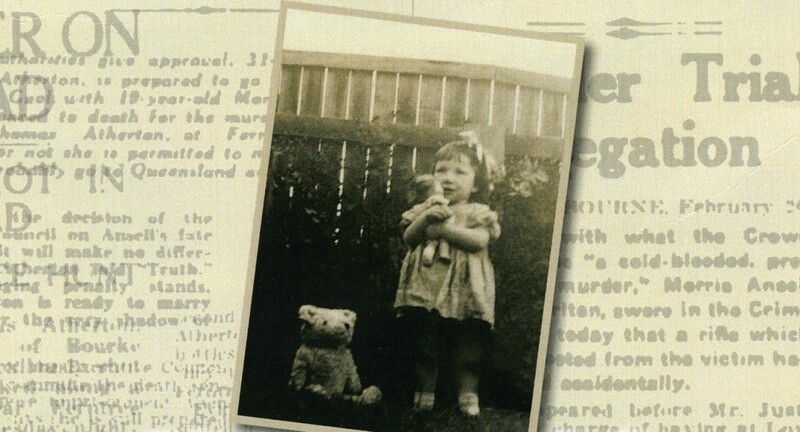 The files have been closed for 75 years – most of Joan’s life – but after being reopened to the public in January, she is finally able to challenge her own suspicions about the murder. Alfred Atherton was 35 when his wife’s secret lover shot him dead in Ferntree Gully, in Melbourne’s outer east. This much Joan knows from newspaper archives she has read. But the circumstances around the murder are contested, and Joan has always had her own questions. The biggest of all: was the killer acting alone, or was her mother behind the murder as part of a bid for freedom from her husband?